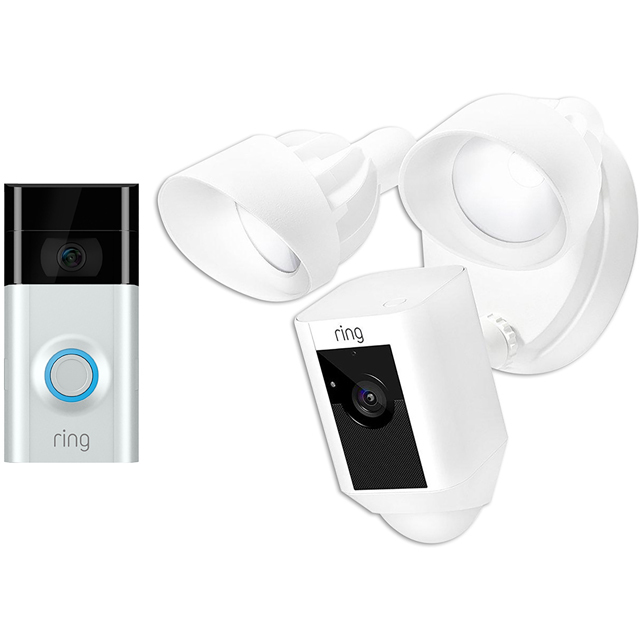 Double up on home security with this smart bundle from Ring. The white security camera is great for putting up in the garden to monitor any activity, while the video doorbell will always show you who’s at your front porch. You can control them both with your smartphone or laptop, and watch live footage whether it’s light or dark thanks to night vision. Plus, the camera records in Full HD quality, meaning all your footage will be super-clear, and it comes with a floodlight to ward off any unwanted visitors. What’s more, the doorbell also has two-way audio, so you’ll be able to chat to any visitors before inviting them inside.